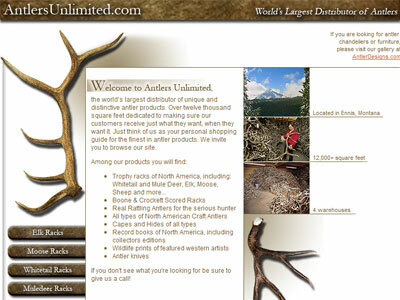 Antlers Unlimited is the largest distributor of antlers in the world. They needed a site where they could list all of their products and have people find them quickly. They also needed to be able to maintain the site themselves, having the option to add, delete, and edit any of the text and images that were needed. 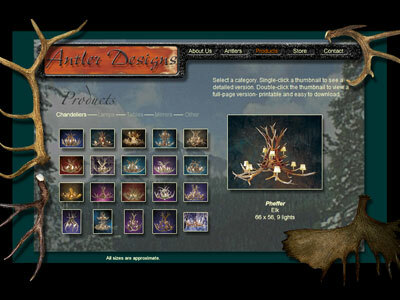 I also worked with another developer to design and create their Antler Designs site along with taking many of the professional photos showcasing their artwork.